← Raised bed gardens…in the front yard? I fought the slugs…and *I* won! Every other garden I’ve had has been trashed by slugs in early spring. Baby lettuce? Nuked. Fragile tomato and pepper seedlings? No match for the slimy destroyers. They are so gross and frustrating. HOWEVER, in Spring 2010 the slugs had no chance. I think the combination of raised beds and this magic copper tape (well, it’s magic to me) kept them at bay. 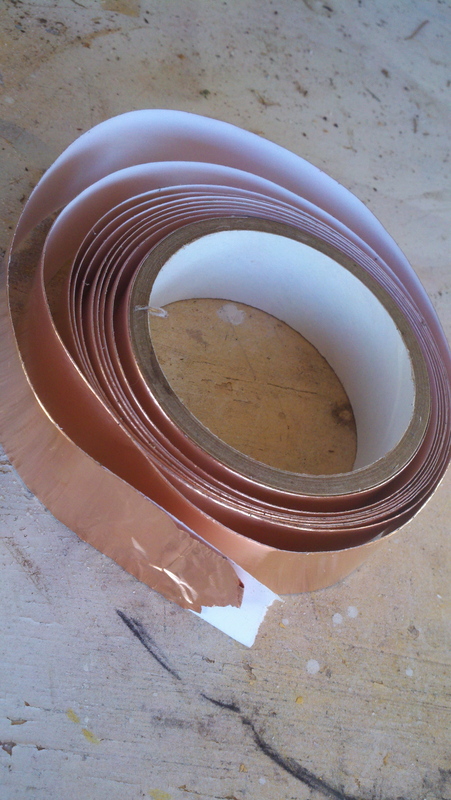 It was not an easy installation as the copper was kind of thin (and sharp — think paper cut but with metal. Ow.) But it was definitely worth it, and it survived last summer’s rain and heat, and is still intact after our record-setting cold days this winter! I didn’t know that about slugs and copper tape. Thanks for the info!